Home » Blogging Tips » What Types of Video Content Perform Best on Blogs? What Types of Video Content Perform Best on Blogs? When you publish any video it should ideally be tailored to a specific purpose. That is especially the case when you are publishing videos on your blog – in which case its purpose will normally be to act as content and interest as well as engage your visitors, before possibly using a call to action to encourage them to take the next step. Because of the purpose that videos serve on blogs, it should come as no surprise that some types of video content tend to perform better than others. Video guides are popular for good reason as they are inherently useful to viewers as they instruct them on how to perform a certain task. The only caveat being that the topic of the video guide needs to be something that would interest your audience. Effective video guides tend to be simple and straightforward, and take advantage of the visual nature of videos to ‘show’ how to perform the task in question. Despite being a somewhat ‘serious’ type of video, it doesn’t hurt to inject some personality either for the sake of entertainment. Finding a well-known expert in your niche and interviewing them is a great form of content as it could provide invaluable insights. Additionally, you stand to leverage the following of that expert as well and expand your audience further. While a face-to-face interview with an expert would be great, that may not be feasible due to location issues or scheduling. If so the next best thing is recording an interview via video chat. The most effective demonstrations or reviews for blog content tend to be unbiased and not overtly promotional. On top of that they should also take advantage of the visual nature of videos. Unlike other types of videos, this one can actually be used to cover topics in a variety of ways to provide information. By focusing on a particular topic and structuring it as a list the content appears a lot more bite-sized and easier for your audience to digest. Due to how generally hey can be used, the topics that chosen to be structured as lists often make the most difference. With an interesting topic and a concise list, the video should perform well. It is worth noting that as much as all these types of video content tend to perform well on blogs, the ‘best’ type will vary depending on your niche and audience. For example a list may work extremely well in the travel niche, but a video guide may perform better in a gadget-related niche. Because of that it is best to think of these types of video content as a starting point and experiment with each one. Based on the response from your audience, you can then start to narrow down the types of video content that your audience finds appealing and cater to that in the future. Keep in mind that before you publish any type of video content on your blog you should prepare it and make sure it is in the right format, resolution, frame rate, and so on. 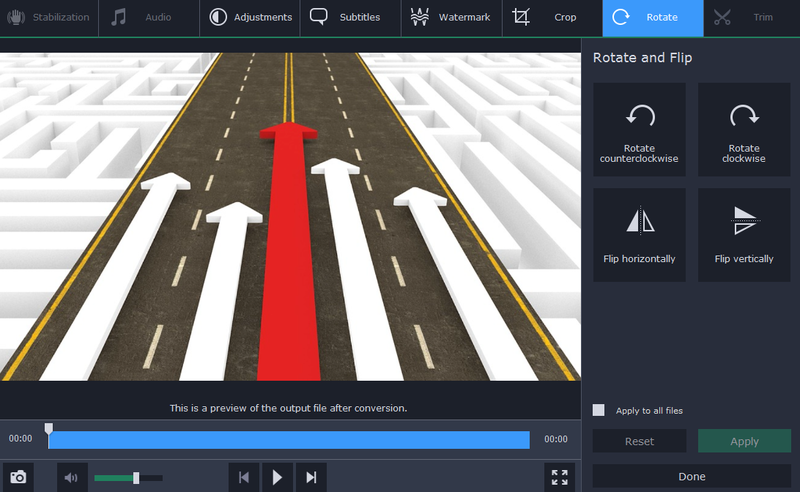 On that front Movavi Video Converter for Mac will be able to give you a hand and allow you to easily convert your videos as well as edit and improve them in other ways too. In short you should be able to make sure your video is perfect, regardless of whether you want to publish it directly on a blog or upload it to a video sharing platform and then embed it. Loved this article, hope’s more interesting article from you.